A passionate fundraiser turned counselor, Chelsey is known for her philanthropic development expertise, enthusiasm for ethical fundraising, and keen ability for inspiring volunteers. 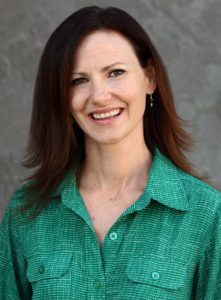 Since entering the social sector in 2001, Chelsey has worked as a staff member, volunteer, and consultant at robust organizations such as Second Harvest Food Bank of San Mateo and Santa Clara Counties, Silicon Valley Community Foundation, Californians for Justice, and Community Solutions. In 2011, she joined the Essex & Drake team and in 2016 became president of the firm. Chelsey specializes in capital campaign feasibility/planning studies, individual major giving, and board engagement. Chelsey currently serves as Board Secretary of the Association of Fundraising Professionals, Silicon Valley Chapter, Chair of the Reed Elementary School Site Council, and Vice Chair of the San Jose Unified School District Advisory Committee. Chelsey holds a Bachelor of Arts in Italian Studies from California State University, Chico, and a Certificate of Italian Language and Literature from the University of Pisa. In 2002, she completed Fundraising School through the Center on Philanthropy at University of Indiana, and in 2008 received a Certified Fundraising Executive credential from CFRE International.